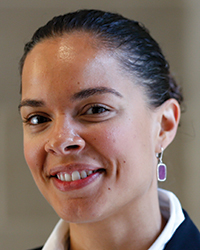 I research and teach at the intersection of race, psychology, and law. I’m an experimental social psychologist by training (I also have a law degree), and I research how people perceive and categorize individuals and situations — particularly identities and situations involving racial stereotyping, prejudice, and discrimination. My projects include investigating how the law defines race and its relationship, or lack thereof, to the psychology of how people process racial cues (e.g., ancestry, appearance, self-identification). I also have a project on how social psychological theories about differences in perceptions of discrimination affect the decisions of judges from different social-identity groups — for example, male versus female judges — in real discrimination cases. Fundamentally, I’m interested in how social psychology can check, validate, and/or correct the assumptions that the law and legal professionals make about human behavior and cognition. My interest in psychology came first, and I declared my major in psychology as a first-semester freshman in college. In my sophomore year, I began work on a project investigating whether or not hate crime laws reflected lay understandings of hate crimes. That work became my senior research project. I also did a summer research fellowship at the American Bar Foundation, a sociolegal research organization, where I worked with JD/PhD social psychologist Shari Diamond on a project involving jury decision-making. It was during that summer that Diamond encouraged me to consider a joint-degree program because of my interest in law and policy. I was admitted to the JD/PhD program at Northwestern, and I felt that I couldn’t turn down the opportunity. When I applied for work in my last year of graduate school, I applied to both psychology and law positions, and I chose a fellowship at the Duke University School of Law. I spent 2 years at Duke, and in my second year I again applied for jobs, this time seeking tenure-track positions in psychology departments and law schools. I wasn’t sure how competitive I would be on either market. I was not successful on the psychology market, but I did extremely well on the law school market — so here I am in a tenure-track position in a law school, and it has proven to be a very good fit. One challenge of being outside of a psychology department is that most, if not all, of my colleagues do not share my methodological orientation. That adds a challenge to presenting work because it becomes a translational exercise that wouldn’t be required in a psychology department. Sometimes my colleagues will question or challenge my basic methodological orientation in ways that I wouldn’t encounter in a psychology department. Another drawback is the lack of infrastructure to support experimental research. Law schools are not full of experimentalists who are accustomed to having labs, research assistants, and graduate students, so the logistics of research can be more challenging. It requires more creativity, a supportive administration, and possibly more initiative to acquire outside funding. But I have really come to appreciate the interdisciplinary nature of my position at a law school. I can publish in psychology journals, law reviews, and law and policy journals. I can do experimental work. I teach law, but I can bring psychology in where it’s relevant. In addition, I’m exposed to a lot of interesting work done from a variety of perspectives and grounded in areas of law and social science that I would not be exposed to otherwise.